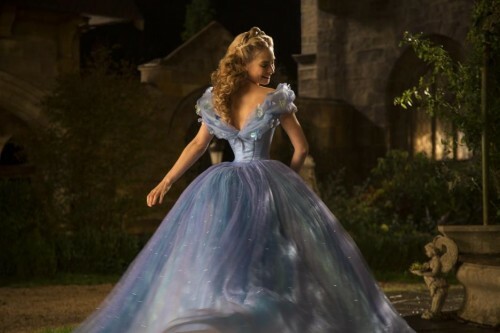 If you’re any sort of Disney fan, then you’re familiar with the story of Cinderella — the poor child whose mother dies and is left in the care of a wicked stepmother who favors her own two daughters over Ella. The original animated Disney classic is very nearly perfection, so why then would Disney want to remake it for modern audiences? I think the answer lays in the question. The technical abilities of movies has progressed so far in just the last few years, that Disney really can pull off a live action version of the movie. They can even give away so much in the trailer, because they know that audiences already love the story, the movie will allow new audiences to experience the story in a deeper more nuanced way. When you look at these photos that were provided by Disney Studios to promote the film, you can see how richly detailed the world created for this movie is. From amazing costumes to set decorations that are over the top. There’s lots of scenery to be chewed as well. 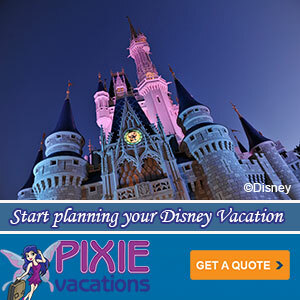 And yes, there are friendly mice and a fairy godmother as well. 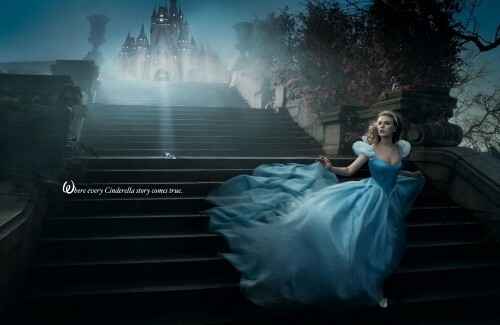 Production has begun on the live action version of Disney’s Cinderella directed by Kenneth Branagh and featuring Lily James in the title role. Judging by this first photo released from the set, I think we’re in for a treat. 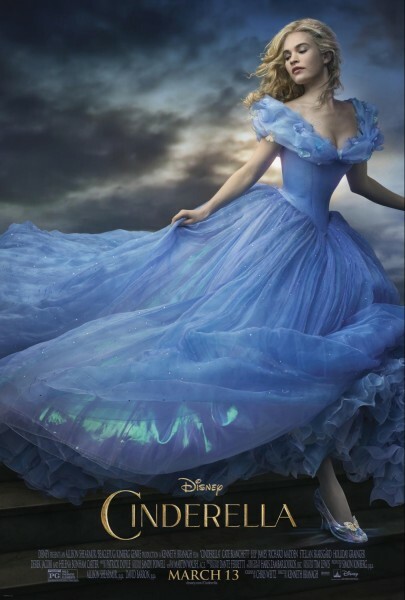 The story of Cinderella follows the fortunes of young Ella whose merchant father remarries following the tragic death of her mother. Keen to support her loving father, Ella welcomes her new stepmother Lady Tremaine and her daughters Anastasia and Drisella into the family home. But, when Ella’s father suddenly and unexpectedly passes away, she finds herself at the mercy of a jealous and cruel new family. Finally relegated to nothing more than a servant girl covered in ashes, and spitefully renamed Cinderella, Ella could easily begin to lose hope. Yet, despite the cruelty inflicted upon her, Ella is determined to honor her mother’s dying words and to “have courage and be kind.” She will not give in to despair nor despise those who abuse her. And then there is the dashing stranger she meets in the woods. Unaware that he is really a prince, not merely an employee at the Palace, Ella finally feels she has met a kindred soul. It appears as if her fortunes may be about to change when the Palace sends out an open invitation for all maidens to attend a ball, raising Ella’s hopes of once again encountering the charming “Kit.” Alas, her stepmother forbids her to attend and callously rips apart her dress. But, as in all good fairy tales, help is at hand as a kindly beggar woman steps forward and, armed with a pumpkin and a few mice, changes Cinderella’s life forever. 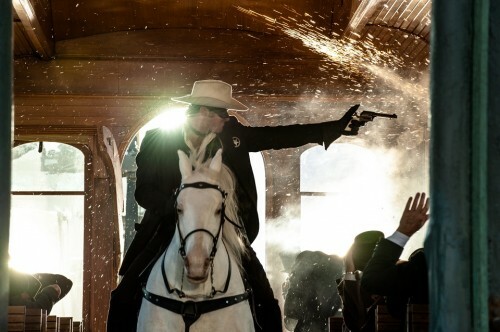 Disney’s The Lone Ranger rides into cinemas everywhere this weekend bringing a updated take on the classic TV show masked avenger to modern audiences. The film is a success and a failure to varying degrees. How much you feel of one or the other probably depends on your ability to just let go and have a good time. Although dark at times, the film isn’t meant to be taken too seriously and certainly pokes fun at some of the conventions we expect in a Lone Ranger story. Once you figure out who the villain is, and he reveals himself fairly early on, the pieces fall into place and the rest of the film is a can be enjoyed for what it is – well produced Hollywood fun. Like Johnny Depp, I grew up watching reruns of the classic TV show edition of The Lone Ranger. The villains were inevitably corrupt businessmen and politicians or the standard mustache twirling dreamer up of evil plots. Tonto did his best to keep the outlaw lawman John Reid out of trouble and often swooped in for a well timed attack to save the masked avenger’s life. It was inspiring stuff to an 8 year old. Sadly, I can’t recommend today’s 8-year olds watch this new edition of The Lone Ranger. The PG-13 rating is to be taken seriously for both violent scenes and fairly heavy subject matter. Frankly, I don’t get why Disney is marketing The Lone Ranger to young kids with Halloween costumes, action figures, and the like. Was the part about cutting out and eating the still beating heart of one of the heroes not in the script when merchandise got their hands on it? On the other hand, I recent sat through World War Z, a fairly graphic and bloody zombie attack movie, with a young kid right in front of me. He suffered no ill effect and was even suggesting dinner options on the way out of the theater (he must have had an iron stomach to go with his tolerance for horror and gore). But I digress. Ostensibly about the journey John Reid takes to become The Lone Ranger, the movie actually dedicates more pages of the script to Tonto’s backstory. It makes sense since a large portion of the plot is driven by elements in Tonto’s life. The two start off as adversaries, but by the end of the film are ready to work together as a team to right the wrongs and bring the bad guys to justice.